In our trade sitting in office cubicle and framing itineraries based on researches and people hearsay is nothing less than cardinal sin. You have to be there to throw weight to your claims. Moreover travelling to places always offer insights, a learning curve and experiences and the process never cease until your last breathe. 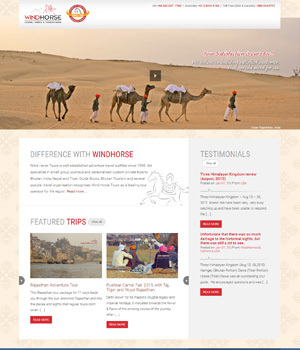 At Wind Horse, love for travelling is deep rooted, and with time it only got better. With the advent of lean season, more often than not, adrenaline rush tend to get better of us. 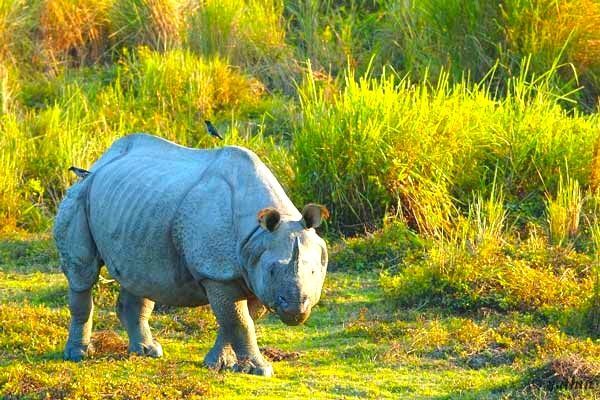 This summer was no exception.Upholding the tradition at Wind Horse Tours, after the central Bhutan and Cambodia visit in winter, it was Assam – North East state in India – least heard and explored paradise on tourism map of India. 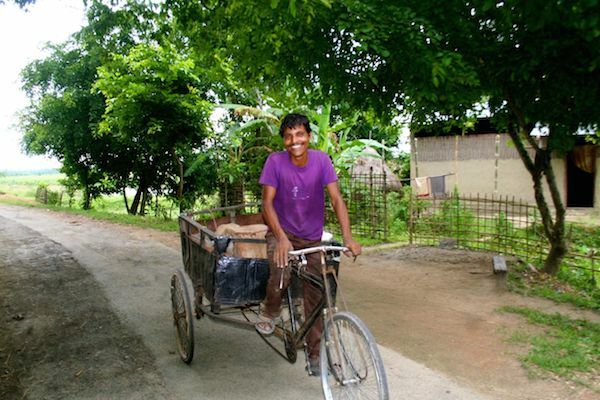 Three tyre manual cart being pulled by man yet wearing smile regardless of scorching heat at periphery of Kaziranga National Park. Mancotta Chang Bungalow at the outskirt of Dibrugarg Town in upper Assam. To be specific, it was upper Assam, which is renowned for its finest quality Tea, and also houses some of the extraordinary sights and attractions namely Majuli Island – one of the largest inhabited river island in the world, world heritage Kaziranga National Park – pilgrimage site to the wildlife lover and birding enthusiast as it’s home to many species of birds and highly endangered one horn Rhinoceros and Royal Bengal Tiger, to name a few. Our first port of call was Dibrugarh – the last indian railways stoppage on far east front. Merely 20 mins ride takes to outskirt of the town to many flourishing tea gardens. 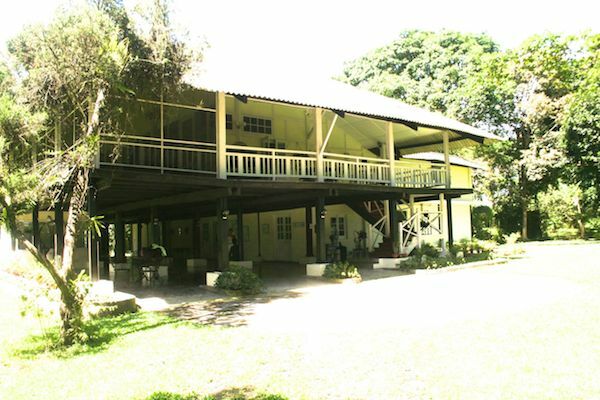 The one we visited was Man-cotta Tea Estate. After a breezy walk in the garden, we paid visit to its palatial colonial plantation bungalow, which still retain an aura and ambience of days of yore. 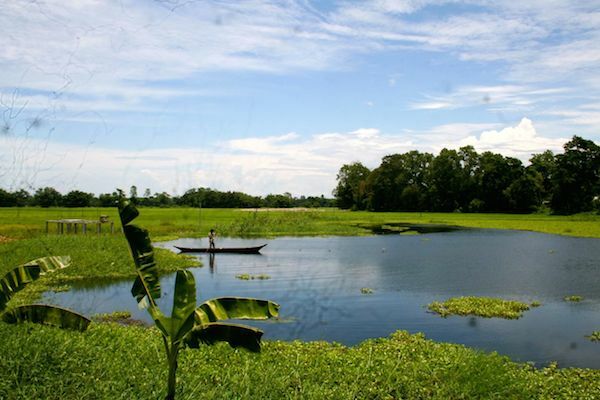 Another vibrant town in map of upper Assam is Jorhat. We chose to park ourselves in the town for the night was solely for the reason of its proximity to port point of Nimatighat – which took 30 minutes on bread shaped shared taxi locally called Tata Magic to reach the Nimatighat pier. 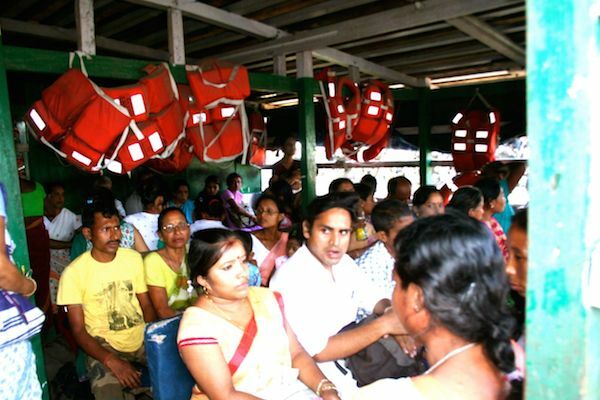 Strangely, in the ferry, it took only 40 minutes to reach the bank of Majuli island as it was with the flow of down stream current, whereas on the way back it took 10 minutes shy to 3 hours as we were found ferrying against the current. Mujali island stretch almost 200 kms, but we could not visited the entire region. 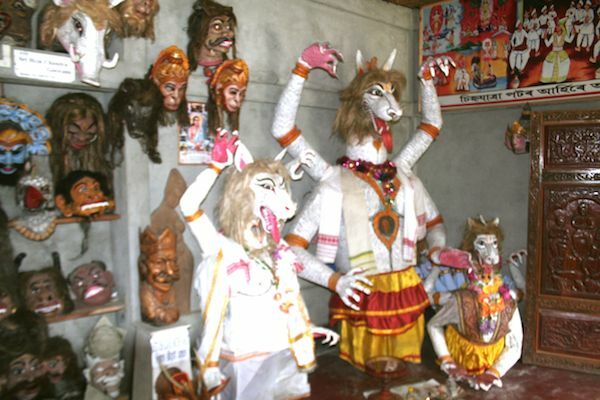 We selected to visit few places of interest like Satars (Monasteries), fishing village, wetland – birding paradise, mask maker and some religious theatre community which still uphold the tradition of enacting religious theme drama mainly during 3 days festival called Raj Leela, depicting the life of hindu god – Lord Krishna. Kaziranga was on top of our priority list as our CEO Ugen Tshering has always been wild life enthusiast since kid, he wouldn’t miss it for anything in the whole world. 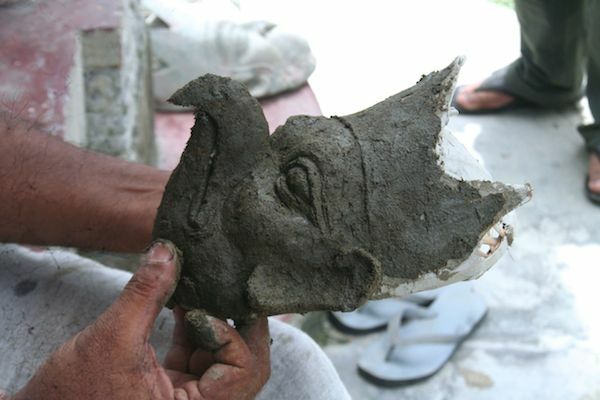 Though the park was closed as its a mating season, it couldn’t keep us away when in Assam. It was evening when we reached there, we check into Brogos Hotel, a luxury property on the fringe of Kaziranga park, merely 200 meters from the central entrance to the park. immersed and pampered ourselves with modern amenities like spa and massage, perhap we did earn after 4 days hot and humid tour of the regions. Although closed but we could visit a lit bit inside the park. It was sight to behold with couple of rhinoceros strolling in vast grassland with gay abundance and some Sambhar deer and a herd of wild asiatic elephant at distance. My regret was I failed to bring my lens extension, which denies me to take a good photos of the subjects. Ugen was ecstatic to see Rhinoceros and Sambhar deer from quite close quarter. 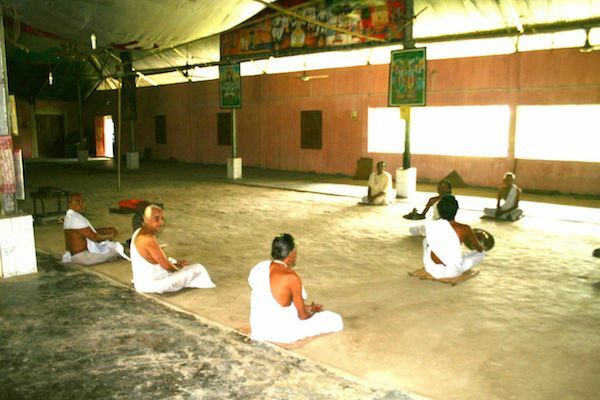 Guwahati – the capital of Assam was last port of call, it houses many contemporary as well conventional attractions, but one aspects that practically govern our minds was boat cruise on mighty Brahmaputra, which we missed excruciating, it was the case of so near yet so far. As we got caught up in chaotic traffic congestion which cost us almost 3 hours. Looking back now, it was whirlwind sojourn of 5 days, fast paced filled with peak summer heat and humidity, gaining mileage on foot on such weather conditions was taxing physically. Regardless of that, vista of green tea garden, tranquility and quaintness of Majuli Island coupled with cultural highs and highlights and above all one horned Rhinoceros and some deers being footloose and fancyfree in Kaziranga could easily ease away all the ache in body and left a wonderful imprint on mind worth cherishing for long time. 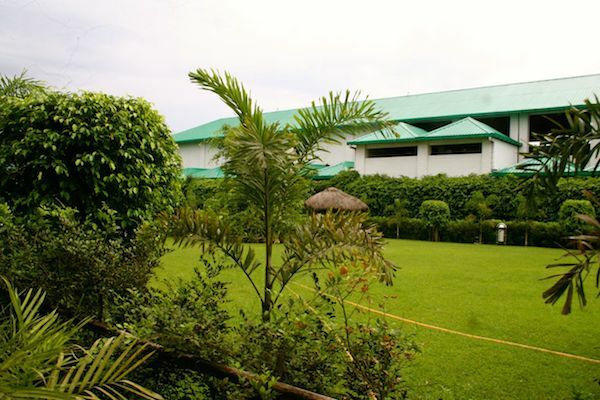 Sprawling Property of Bogros resort at the periphery of Kaziranga National Park.